Spring is just around the corner, and I know everyone is ready for it with the crazy weather we’ve been having lately. I found the cute mini spring frame project at “A Diamond In The Stuff”. It is so cute and springy, and would be an easy spring project to make. All you would need is some coordinating scrapbook paper, and 6 mini frames. Hop on over to A Diamond In The Stuff to see Courtney’s cute little springy frames, be sure to click over and see her Autumn & Winter frames too! 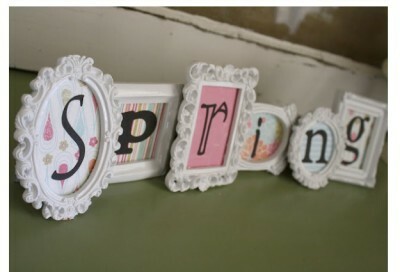 Have you started any spring projects yet?